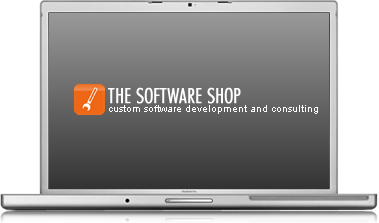 The Software Shop specializes in creating custom software designed to meet the specific needs of your business. You wouldn't use a hammer to cut a board, so why would you use the wrong software tool to automate your business needs? The Software Shop is a small software (traditional and mobile) development and website design company located in Columbus, Ohio. We provide software development services of all shapes and sizes, from small business websites to large-scale N-tier applications. We are especially adept at creating custom built software applications for companies that cannot find an appropriate solution in a box. To read more about the services we offer, click here. At The Software Shop, we utilize a wide variety of technologies (the right tool for the job). Our engineers have extensive experience with Microsoft .NET (currently version 4.6) and Xamarin and Ionic Mobile Platforms, and we leverage the power of ASP.Net, Microsoft SQL Server, JavsScript, HTML5, jQuery, AngularJS, NodeJS, MongoDB (etc.). We are also experts in other website development tools, utilizing technologies such as: PHP, MySQL, WordPress, Umbraco, and Joomla! From a traditional windows client to a dynamic web application, we have the skills necessary to create appropriate applications for your business needs. To read more about the skills we have, click here. We make an effort to understand your business and maintain focus on your requirements . The resulting software is much more aligned to your business. Built for today, designed for tommorow. We create a design for your software by considering your 'future wish-list' as well. Continuing support and maintenance services for new, expanding, and retiring software applications helps our clients to retain their clients. 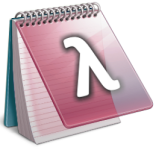 Use your favorite programs on any Windows computer. LINQPad lets you interactively query SQL databases in LINQ (and it's a code snippet IDE too). Copyright © 2019 The Software Shop: Technology Craftsmen. All Rights Reserved.